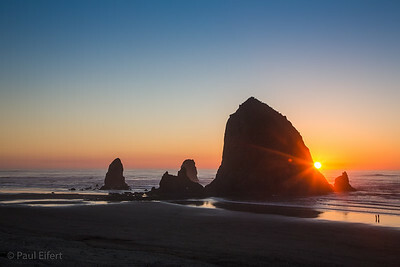 The sun sets over the Pacific ocean, behind Haystack Rock, at Canon Beach, on the Oregon coast. Thanksgiving day, 2013. 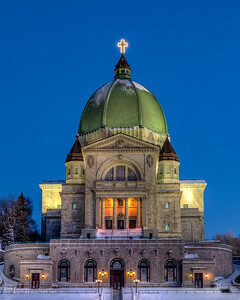 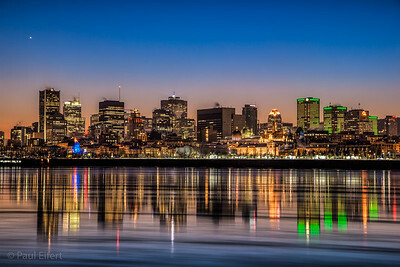 The planet Venus sits in the sky over the city skyline of Montreal, early on a winter evening in December as ice flows down the St Lawrence river adn the city is reflected in its waters. 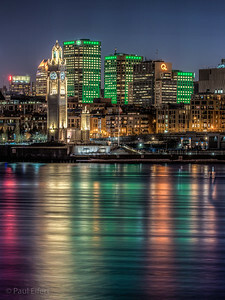 The old sailor's clock tower, the green-lit Desjardins buildings and other evening lights reflect in the waters of the St Lawrence river. 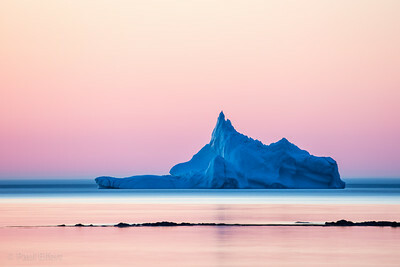 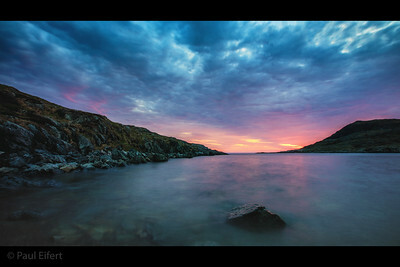 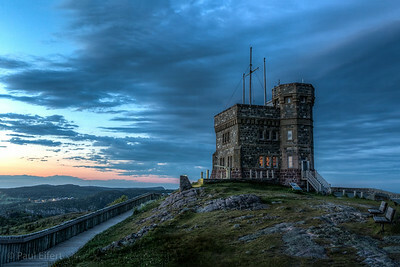 The tower on top of Signal Hill in St John's, Newfoundland on an early summer evening a little after sunset.